A modern, upscale restaurant that offers authentic cuisine. Rosa is on the street level below Blue Martini. Ideal for happy hour, lunch and dinner. Rosa offers half-price cocktails and appetizers from 4pm-7pm. Rosa Mexicano is located at 900 S. Miami Avenue, #161. At the northwest corner of S. Miami Avenue and 9th Street across from PF Changs. You can enjoy their Happy Hour from Mon-Fri 4-7pm. 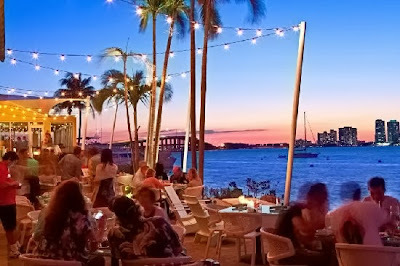 It includes $3 beers; $5 wells; $7 Martinis, Mojitos and Margaritas. Mondays as all good things start with the letter "M." Mojitos, Martinis, Margaritas - all for $5! Wine Wednesdays - 1/2 off bottles of wine & champagne! 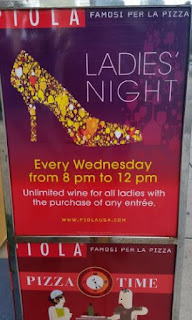 Ladies night every Wednesday from 8pm to 12am. 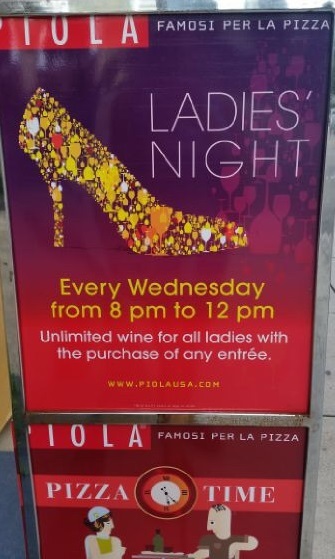 Unlimeted wine for all ladies with the purchase of any entrée. More info at www.piolausa.com. You can never go wrong by transporting to the1920s at Espanola Way with its enchanting street lined with cafes, restaurants, gelateria, and miniature white lines crisscrossing old canopy trees. At Mojitos Lounge every day is Happy Hour for only $4.99. 500 Espanola Way. Looking for high end and exclusive? You can put on the ritz at the Hookah Lounge Happy Hour . Sip $7 signature rum cocktails while relaxing in plush cabanas and enjoying hookahs with flavored tobaccos from 5 to 8 p.m. Thursday and Friday night at DiLido Beach Club. Enjoy the most furnished Art Deco interior at this classic hotel just north of Lincoln Road. 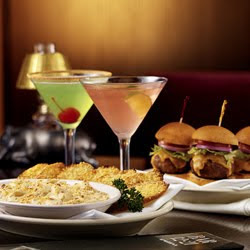 Happy Hours are Tuesday-Friday from 6pm-9pm offering 50% off entire menu bar. This hotel is a favorite with worldwide travelers and has a following of guests for decades. Check back regulalry as I add newcomers. Cheers! * Note: Happy Hour specials may change without notice. Please call to verify. this is a great resource! i took down all of these places and plan to visit many over my trip to miami in a couple weeks!